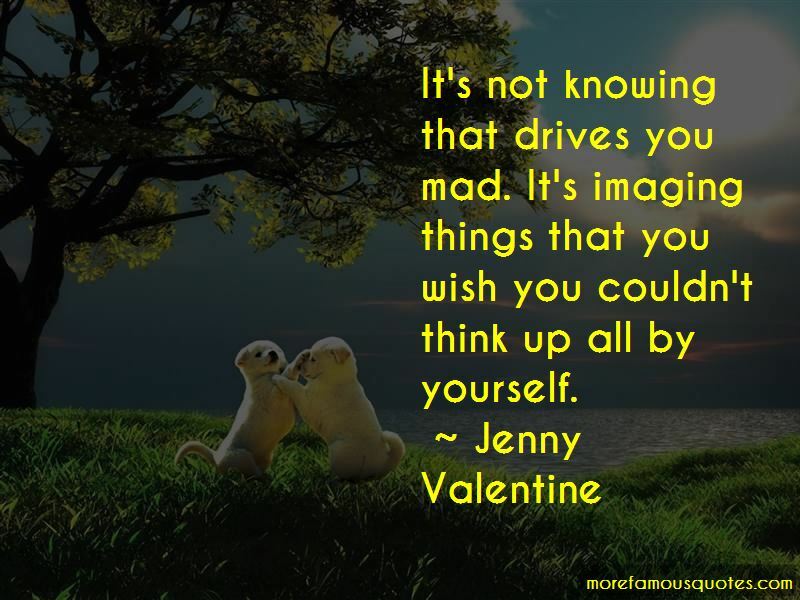 Enjoy the top 11 famous quotes, sayings and quotations by Jenny Valentine. “Everything is going to be fine. 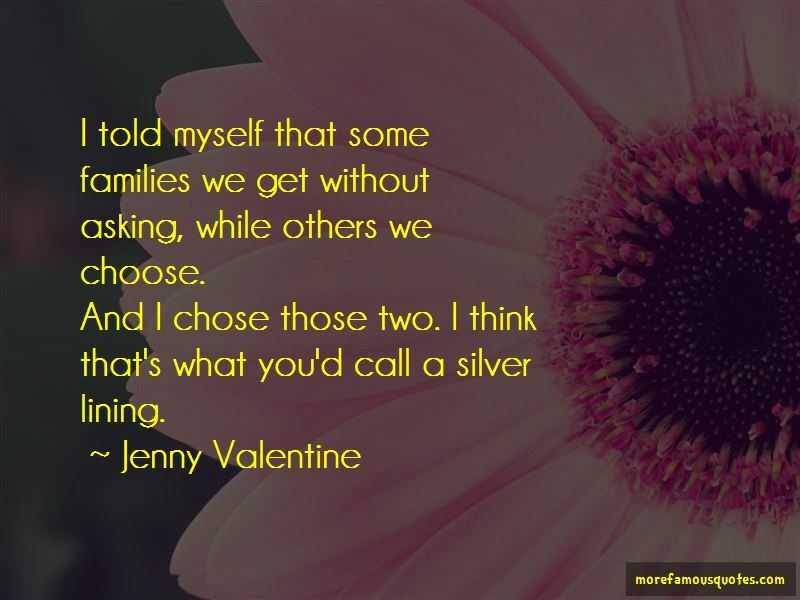 “I told myself that some families we get without asking, while others we choose. What's wrong with the world Peter? God, I don't know. Where do you start? People give up. We're defeatists and we stop striving or fighting or enjoying things. It doesn't matter what you're talking about - war, work, marriage, democracy, love, it all fails because everybody gives up trying after a while, we can't help ourselves. And don't ask me to solve it because I am the worst. I'd escape tomorrow if I could, from every single thing I've always wanted. It's amazing what storms your face can hide, what terrible wrecks can writhe and heave beneath, without one ripple on the surface. “What are you afraid of," she said. "Daylight?" No. I'm afraid of you. I'm afraid of myself, of whatever it is I'm going to do or say to make it all go wrong. I'm desperately trying to avoid that moment and walking straight toward it, all at the same time. 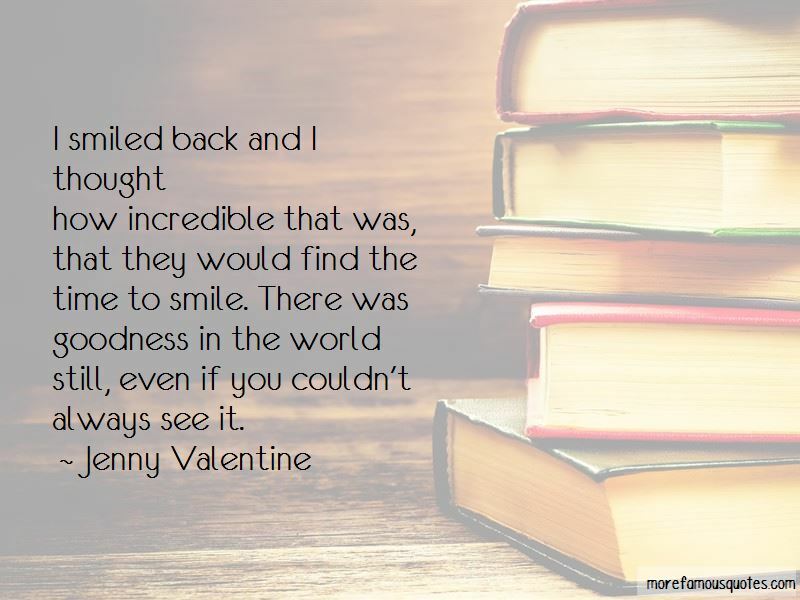 Want to see more pictures of Jenny Valentine quotes? 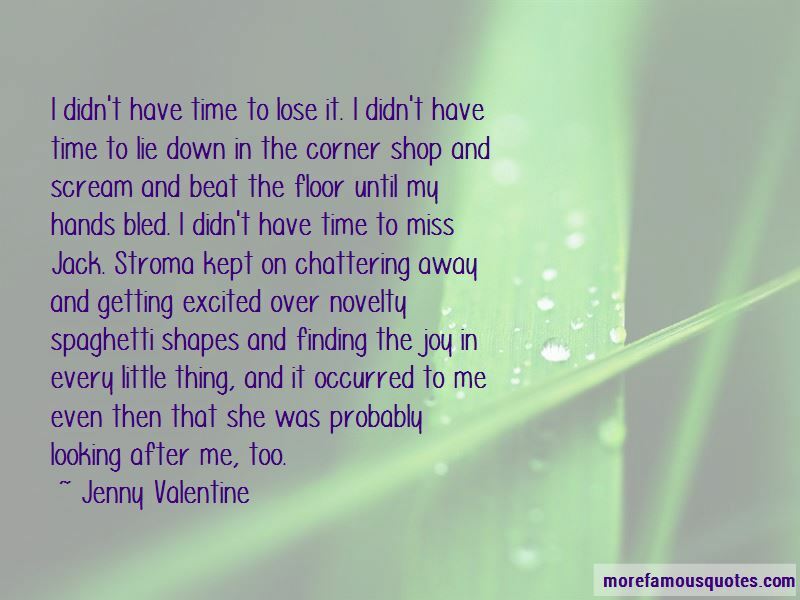 Click on image of Jenny Valentine quotes to view full size.